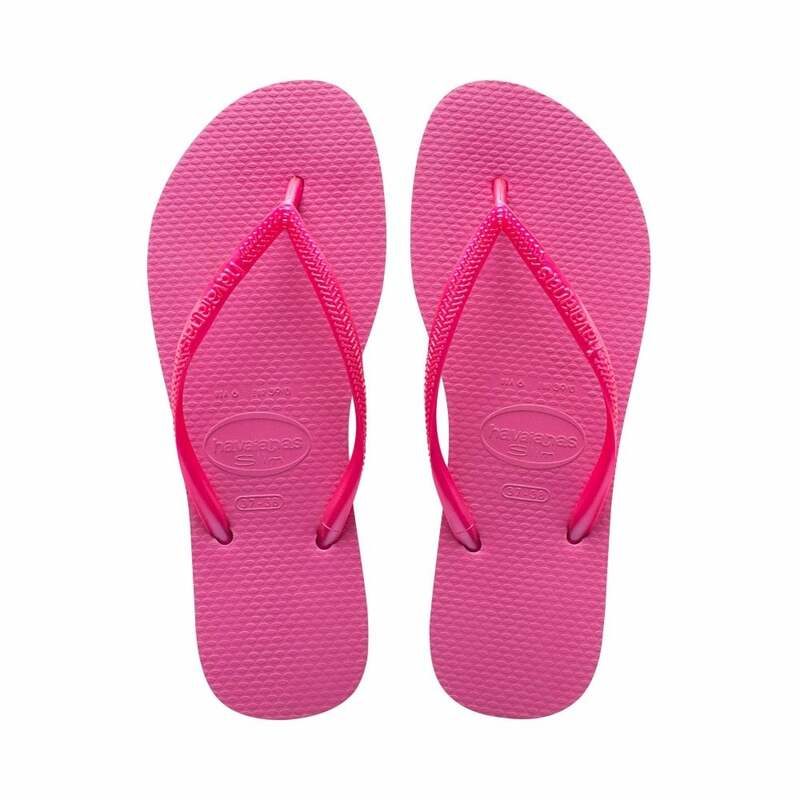 Havaianas Slim is great female version of the iconic flip flop, it's all the same Havaianas fun and great designs, but in a more slender version especially for the female foot shape, here come the girls! If you like the look of these you're sure to be a fan of the KEEN Sandals too. Havaianas - it's Always Summer! The first pair of Havaianas was created back in 1962 and the company have not looked back since, the distinctive flip flop has grown and grown and now is a recognised world leader in the footwear market. The range of flip flops is for both men and women and has something to suit all feet, young and older. A symbol of Brazilian joy around the world, Havaianas arrived in the U.S. in 2007 and in Europe in 2008, marking the beginning of the second phase of the brands international expansion. Today, Havaianas belong to all those who are part of it through the simple act of clipping a pair of rubber sandals on. Reinventing, not only the way people walk through the beach or at parties, but also sending their message with a unique creativity.